Meat has a number of vital nutrients the body needs to function properly. Eating from a variety of sources ensures you have a good mix of vitamins. What are vitamins? Vitamins are substances in food that provide the basic building blocks for health. All foods contain vitamins. The vitamin content in meat depends upon how the animal it came from was raised. Cows grazed on lush pasture, wild game that forages in fields, wild-caught salmon and all animals raised as close to their natural state as possible will contain slightly different vitamins than farm-raised animals. How food is prepared is also important. Baking or broiling is recommended to cook meats to preserve flavor and nutrition. Some meats, like sushi made from fish, are actually uncooked. Lamb and related meats from sheep, like mutton, provide folate and niacin. Despite all the bad press beef has received, it provides a rich source of many vitamins and minerals. 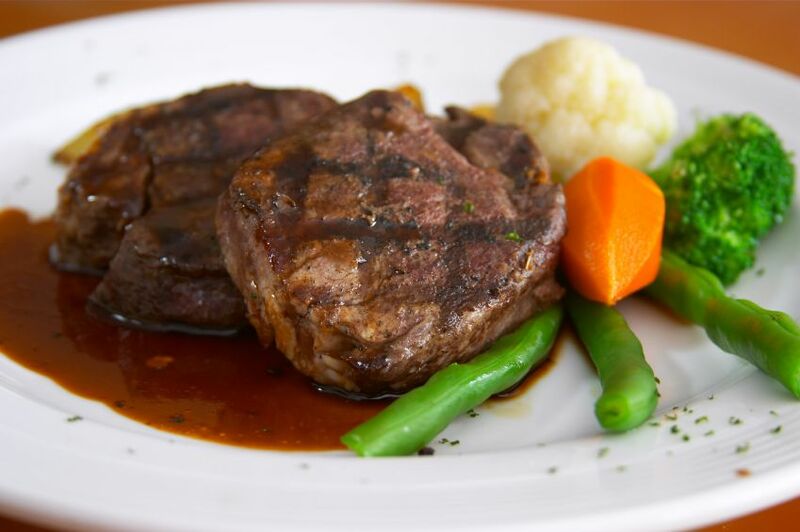 Beef contains a large amount of vitamin B-12, iron and zinc. While many cultures forbid eating the meat of pigs, pork, ham and related meats are rich sources of thiamin, niacin, and B-6. Don't reserve turkey just for Thanksgiving! Turkey provides vitamin B-6, B-3, and a host of other vitamins needed for energy production. It's also low in fat. Rabbit meat and other wild caught game provides meat that is lower in fat and higher in nutrition than farmed meat. Like other meats, rabbit is rich in the B vitamins. If rabbit sounds unappealing, try other game meats such as deer. Calf's liver is quite high in B vitamins, particularly B-12. Other organ meats are also rich in vitamins and minerals. Don't forget that seafood also contains vitamins, minerals and other substances. Salmon is rich in omega-3 fatty acids and lean protein. Other types of seafood are rich in vitamin D.
Eat for your health, well-being and pleasure. Choose a variety of fruits, vegetables and protein sources.